The internet has reacted with a mixture of scorn and sympathy to Lionel Messi’s latest World Cup misfortune, after Argentina suffered a 3-0 defeat at the hands of Croatia in Nizhny Novgorod. Messi’s team went down to a crushing defeat in their second Group D fixture, leaving Argentina in real danger of missing out on reaching the last 16 in Russia. As the debate rages over what Barcelona star Messi's misfiring performances in Russia mean for his status as arguably the greatest of all time - GOAT for short - some Twitter users were quick to put the boot in. Others said they felt Messi had clearly gone missing when his teammates were in their hour of need. Some compared the Barcelona star's poor performances in Russia to rival Cristiano Ronaldo's blistering start, after the latter scored four goals in two games so far. Ronaldo has done everything Messi has done for club, he has gone further by doing it for different clubs in different leagues, when it comes to country, Ronaldo has always delivered and won a major competition, one more thing, he didn’t retire when his country didn’t do well. 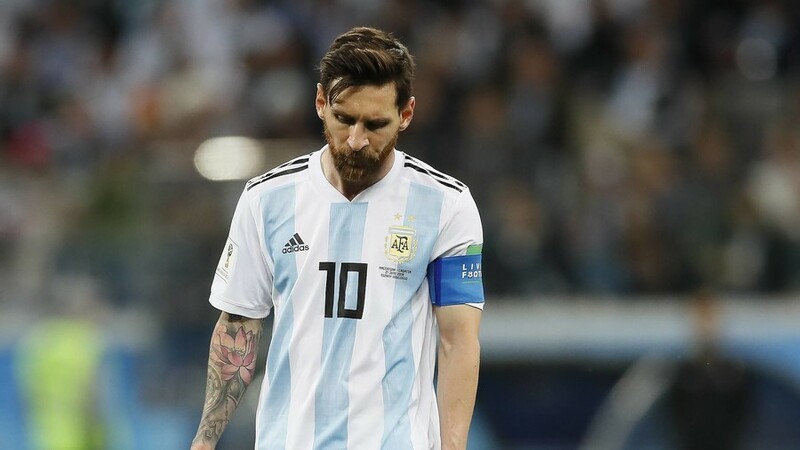 However, some Twitter users placed the defeat firmly at the feet of Messi’s Argentina teammates for their World Cup nightmare. Messi deserves a World Cup, his teammates just let him down at every turn. For shame. Messi would play much better on literally any other team in this World Cup. This Argentina has no motivation to play and it’s sad for their history. Argentina could still salvage their knockout stage hopes, but that will depend on the result of the Iceland versus Nigeria game tomorrow and the last round of group games on Tuesday, when the Argentines face the Super Eagles and Iceland meet an already-qualified Croatia.